On to the next holiday Easter. This is a perfect appetizer for Easter. Light, fresh and simple. When hosting a holiday you want your foods to be delicious but also easy to make. 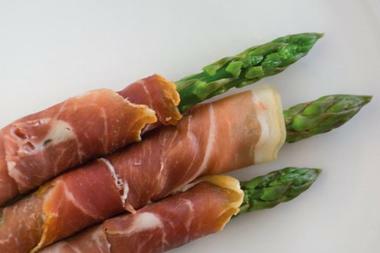 Arrange prosciutto-wrapped asparagus on baking sheet and bake for 15 minutes.